In Nicosia stands the only church in Cyprus dedicated to St. John Cassian, in a quarter known as Agios Kassianos (Aykasyano in Turkish). It was built in 1854, next to an older church dedicated to the Saint from around 1780, and it contains ancient icons which are believed to have been brought over from the Church of Hagia Sophia in Nicosia after it was taken by the Turks and turned into a mosque. 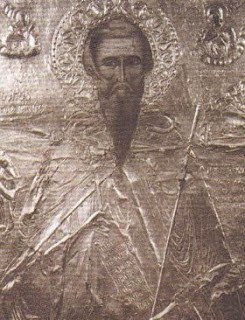 There is also an icon of St. John Cassian dating to 1730, which was encased in silver in 1786. The greatest treasure of the church, besides portions of the relics and skull of St. John Cassian, is the silver helmet believed to have belonged to St. John Cassian. This silver helmet is usually worn by people who suffer from serious headaches in order to obtain healing. How these relics of St. John Cassian came to Cyprus is not known, since he reposed in France. It is known as a place where many people have made vows to the Saint for a particular matter, and received a miracle in return. But what is considered the greatest miracle of St. John Cassian at this church is an intervention he made on behalf of the Christians in 1974. 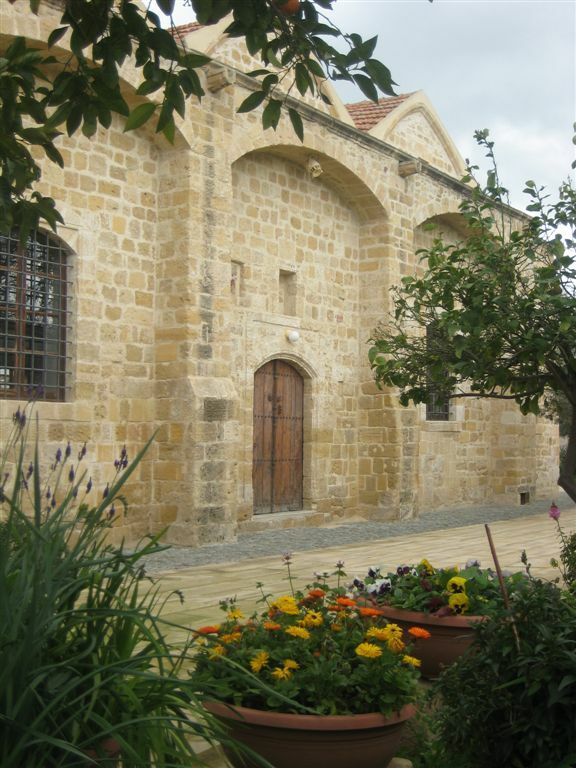 The Church of Saint John Cassian stands about 30 meters from the Green Line that divides Cyprus between the Greeks and the Turks. This church is so loved by the locals that they consider this the greatest miracle of the Saint, which allows them to celebrate their weekly services there, especially during Holy Week, not hindered by a border they would not have been otherwise able to pass.